The Patriots officially plugged a few leaks that sprung in their coaching ship this offseason, announcing three staff appointments yesterday: Josh Boyer (defensive backs), Bill O'Brien (quarterbacks), and Scott O'Brien (special teams). Openings remain for a receivers coach and a tight ends coach. The offensive coordinator position previously held by Josh McDaniels also remains vacant, although it's possible that the Patriots won't fill that, similar to 2005 when McDaniels assumed the duties under the title of quarterbacks coach. In the event that happens, Bill O'Brien, who is not related to the special teams coach, would likely take on more responsibility coordinating the offense and possibly calling the plays on game day. Head coach Bill Belichick, who annually fields one of the NFL's smallest staffs in part because of his belief that fewer voices often lead to a clearer message, kept it in the family with yesterday's moves. The 32-year-old Boyer has been with the team the last three seasons as a defensive assistant, with a focus on defensive backs. In 2002-03, he worked under coordinator Dean Pees as a graduate assistant at Kent State, where Pees was head coach. He replaces veteran Dom Capers, who left after one season. 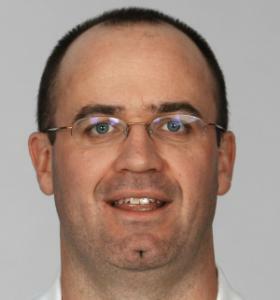 Bill O'Brien, 39, served last season as the Patriots' receivers coach, after initially joining the staff as a coaching assistant in 2007. As part of his job last season, O'Brien worked closely with McDaniels on the passing game. McDaniels held the dual title of offensive coordinator/quarterbacks coach. Scott O'Brien, who enters his 19th season in the NFL, was Belichick's special teams coach with the Cleveland Browns from 1991-95. The 52-year-old O'Brien spent the last two seasons as Denver Broncos special teams coach. He fills the void left by Brad Seely, who departed the team after 10 seasons to sign a three-year contract with the Browns. The Patriots have lost four coaches this offseason, a group that includes tight ends coach Pete Mangurian, who was hired last week as Tampa Bay Buccaneers offensive line coach. The Patriots have yet to fill Mangurian's position, a spot that also focuses on the running game schemes. The team must also fill Bill O'Brien's spot as receivers coach, a position that has traditionally been tied to the passing game and organizing the various personnel groupings the team utilizes on game day. Belichick also figures to hire at least one more coaching assistant, in the entry-level type of position where coaches are often groomed in the team's system.